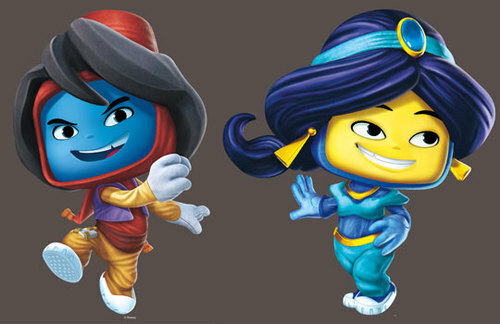 Welcome to the Arabian nights of the Disney Universe Aladdin world! 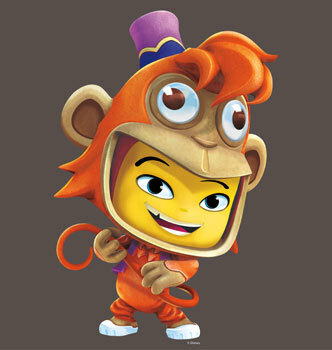 In the Aladdin world, players will be able to suit up as their favorite characters from the award-winning Walt Disney Pictures film, including costumes for Aladdin, Princess Jasmine, Iago, Jafar and Aladdin’s adorably sassy monkey sidekick, Abu. 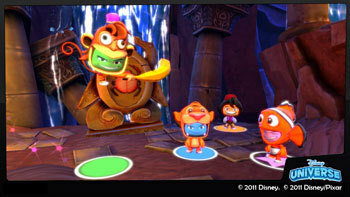 Explore the mysterious puzzles of the Cave of Wonders, while avoiding dangerous hazards such as lava, falling sand, boulders, and spiked platforms - - all in an effort to defeat the nefarious Jafar! 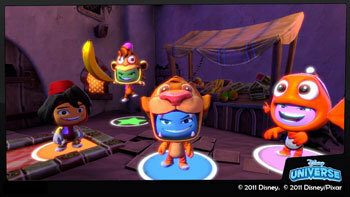 Join Disney Interactive Studios as they “Show You the World” with magical environments and fantastical character costumes inspired by Walt Disney Animation Studio’s award-winning audience-favorite, “Aladdin,” in the upcoming video game Disney Universe, available in stores on October 25. 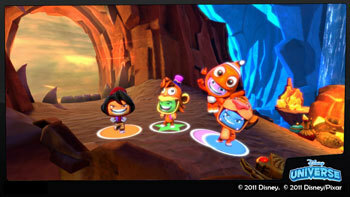 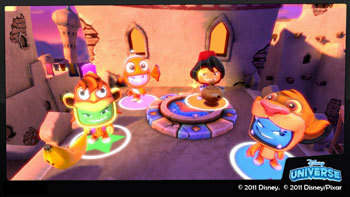 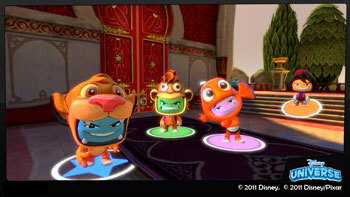 Players will be able to journey through the enchanted city of Agrabah dressed up as classic favorites like Aladdin, Princess Jasmine, Iago, Jafar and Abu in the adventurous world of Disney Universe, the first video game that brings together characters and worlds inspired by both animated and live action films from Walt Disney Animation Studios, Pixar Animation Studios and Walt Disney Pictures. 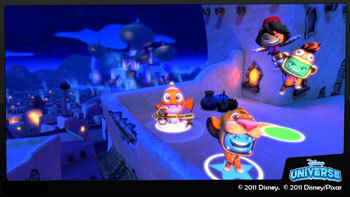 Players will be able to suit up as Aladdin, Jasmine and other timeless characters from the movie as they navigate through the mystical Cave of Wonders collecting Scarabs to fit into a statue puzzle, avoiding falling sand, and jumping across rising platforms to complete the level. 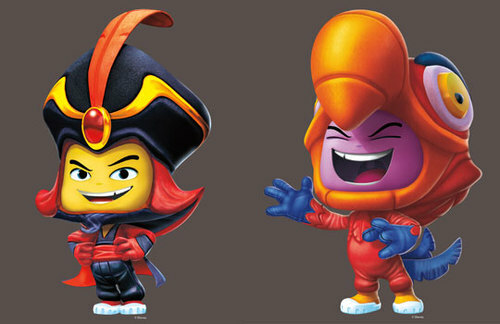 They’ll use gems to complete the mission while keeping clear of boulders, lava and spiked platforms, all in an effort to win a final battle against the evil Jafar. 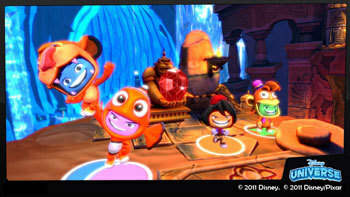 Disney Universe will be available October 25 for the Xbox 360® video game and entertainment system from Microsoft, PlayStation®3 computer entertainment system, the Wii™ system from Nintendo and Windows PC/MAC. 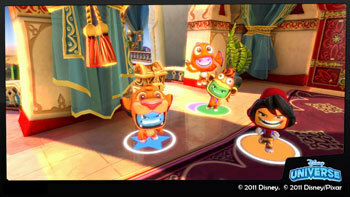 Please visit www.disneyuniverse.com for more information.